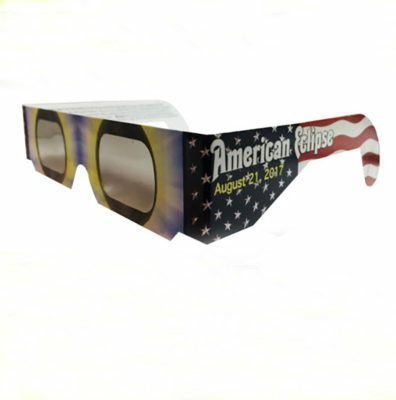 Our mission at Scopedawg Optics is to enlighten, inform and provision as many of our fellow Americans as we possibly can in preparation for the total solar eclipse of Monday, August 21, 2017. 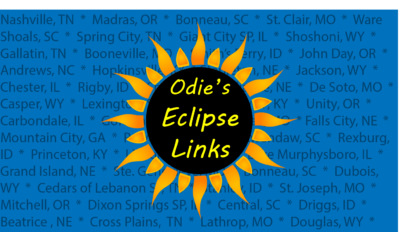 In fulfillment of this mission we have developed this website, a presence on the major social media outlets, a suite of tools for eclipse chasers, products to view and photograph the eclipse, and books and maps to plan your experience. Here you will find practical information on how to safely view and photograph the eclipse, including links to sites from renowned astrophotographers such as Fred Espenak and Alan Dyer, as well as examples, tips and techniques from the dawgs. We post about the mechanics of eclipses, why they are so rare, and eclipses from the past with interesting tales to tell. Posts will also address the eclipse in specific states, events and festivals being planned for the Big Day, and much more. Come along for the ride. User friendly, interactive maps of each state under the moon’s shadow designed to help you find the best spots to view totality from any location in the US. 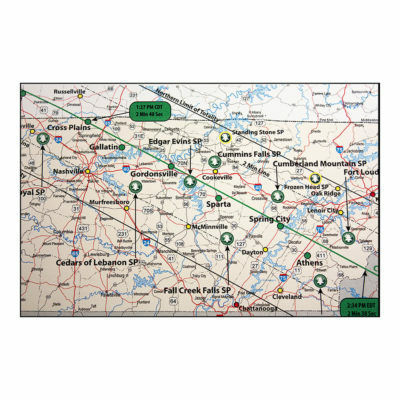 The maps clearly mark the important Central Line, Limits of Totality and 2 Minute Lines; they also indicate cities, towns and parks that are within the shadow band and close to the Central Line. 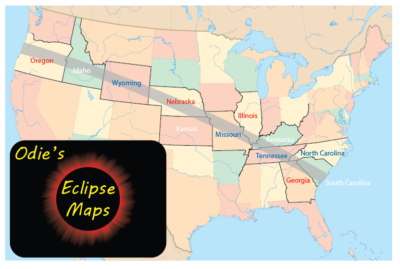 The state map pages also provide critical eclipse information for all locations – duration of totality, start / stop times for both the partial and total phases, and closest Jump in the Line locations for prime eclipse viewing. Our links tool lists events, festivals and watch parties from coast to coast, allowing you to visit websites for these events in your neck of the woods. Each page also has links to state park and eclipse sites, science centers, universities and astronomy clubs. As with the maps tool, each state has a dedicated page with map and links. Resources, tips and techniques on photographing the total solar eclipse. Whether you use a smartphone, point and shoot camera, DSLR, or video camera you will find the information and products you need to safely photograph the sun at all stages of the eclipse. Odie’s guide also addresses advanced topics such as tracking devices and mounts, composing sequences and time lapses, and processing tips. Scopedawg Optics has everything you need to find your best viewing location, eclipse glasses (paper / plastic), solar filters for camera lenses and small telescopes, detailed state maps with eclipse information on sturdy card stock, books and more. 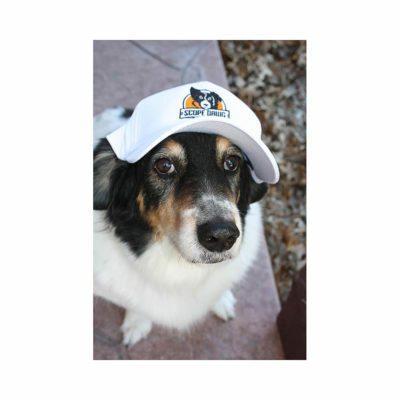 If you want to be the best dressed eclipse chaser at your party or festival check out our Dawg Schwag. 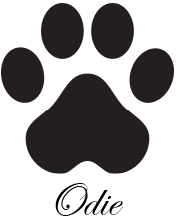 Thank you for visiting our site, be sure to check out our daily posts on Facebook, Twitter, Instagram, Google + and Pinterest. 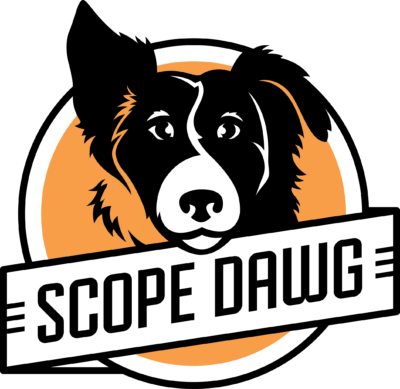 If you have any questions, or need a quote for volume discounts on our products, please contact us at jolo@scopedawgoptics.com or use the form under Contact.